This weekly photo-column recounts how an old, special photograph of a celebrity was shot. This photo was taken in the early 80s during the silver jubilee celebrations of Nenjathai Killathe which was directed by the legendary Mahendran sir. It is notable for being Suhasini’s first film as an actress. But it wasn’t her first time working on a film though. I was originally introduced to her when she was working as a camera assistant on Mahendran sir’s Johnny (starring Rajnikanth) which also released in the same year. Not many know that when she was initially approached for the role in Nenjathai Killathe, she refused. She didn’t want to step in front of the camera as she wanted to become a cinematographer. Ashok Kumar, the cinematographer of Johnny, convinced her to try acting, and that’s how her debut as an actress happened. 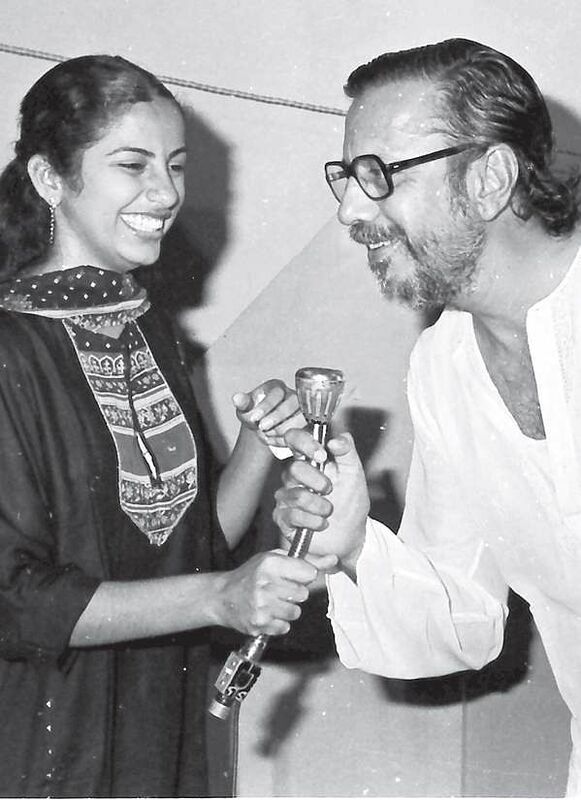 Her father, the veteran Charuhasan is someone I’ve known right from the days of Uthiripookkal, which was, incidentally, also directed by Mahendran sir. Charu sir is like a brother to me. He is very easy to talk to. I’d say he’s even more amiable than his brother, Kamal Haasan. Despite the age difference, he never put on any airs and has always been really friendly with me. I cherish the memory of working with these great artistes.